In our lab we’re setting up the PCA3-test designed to aid prostate cancer diagnostics. The test is representative of many emerging diagnostic tests in that it is a) a supplement to existing testing and b) useful only in a subset of conditions. The PCA3-test complements results from digital rectal examination, PSA tests, and prostate biopsies. Three tests that until recently have constituted the cornerstones of prostate cancer screening and diagnostics. The relationship between the results from these tests is dynamic and interpretation of test results is often complicated, sometimes very confusing and can, in the worst case, be very uncertain. Add the gene expression results from the PCA3-test and you have a lot of valuable information, but a tough time filtering it into useful clinical information. Physicians will learn how to combine the information either in med-school or in update learning courses later in their career. A slow and sometimes insufficient way to convey diagnostic information to the clinic, treating physician and ultimately, the patient. Thankfully, we live in the information age and medicine 2.0 is well underway. Now the doctor or the patient can separately or together get online assistance in interpreting prostate cancer test-results. Well designed and user-friendly calculators like the “Risk of Biopsy Detectable Prostate Cancer” calculator or prostatecancer-riskcalculator.com (professional use) will help anyone undertand and begin to interpret lab-results. A big step forward in my opinion since information flow becomes quick and targeted. 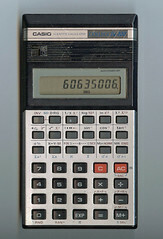 Such calculators have also been made available for cancer risk prediction: nomograms.org, for Marevan/Warfarin dosing: Warfarindosing.org, and as demonstrated in a previous post, for Testosterone: Testosterone. There are probably a lot of calculators out there that I haven’t found yet and it’s highly likely that many more will be developed. It seems clear to me that interpretation of clinical lab-results may not remain entirely in the physician domain much longer. Hopefully such automated interpretation will lead to patient empowerment and make deciding on clinical action an easier task. Previous posts have attempted to demonstrate that there is a potential role for (Heat Shock) proteins that mask mutations, to enable rapid evolutionary changes. The Hsp90 protein has been presented and the basic problems one face to explain bursts in evolution have been outlined. Now the time has come to show real examples of Hsp90 influencing the evolution of traits. The following are very short summaries of key papers. For details, please see the referenced papers. In 1993 Yang Xu and Susan Lindquist showed that Hsp90 associates with v-src and inhibits its activity in an concentration-dependent manner. Hsp90 was not merely an on and off switch for v-src, but exhibited transient inhibition, dependent on intracellular concentration of Hsp90. 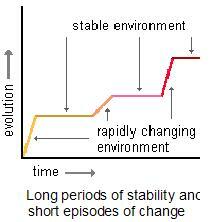 This was a clue to understanding Hsp90’s role in cancer (as well as in evolution). 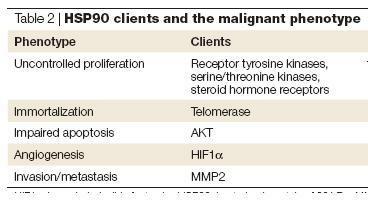 After this, many cancer-related proteins have been identified that interact with Hsp90 (see table). The mechanism one speculates, is similar at the molecular level, to the mechanisms postulated for morphological change. Hsp90 stabilizes the otherwise unstable oncogenic proteins, to aid in tumor growth in an environment hostile to tumor development. In other words: the heat shock proteins protects the oncogenic cells from stress. When the tumor cells subsequently attain further mutations and protein alterations, inherent to oncogenic growth, the heat shock proteins are unable to stabilize all of the altered proteins and the tumor can progress into accelerated growth and/or metastasis. The role of Hsp90 in cancer development has been widely accepted and inhibitors of Hsp90 activity is currently undergoing clinical trials for cancer treatments. The key paper on Hsp90 and Drosophila evolution is the Rutherford and Lindquist paper in Nature 1998. This paper has been mentioned on several previous posts here on SciPhu and also in the introductory Just Science post. Again, the take home message is that reducing levels of Hsp90-activity leads to changes in phenotype. The reason for such dramatic effects is probably that Hsp90 stabilizes proteins that are key elements in intracellular signaling pathways. Often these are kinases, phosphatases or transcription factors, see this table for full list. The common feature of these affected proteins is that they regulate the activity of other proteins downstream in the signaling cascade. Thus, changes in the activity of one master protein acts on the stability and function of many other “executive” proteins ultimately resulting in massive changes. The phenomenon has further been elucidated in other species………. In yeast, a reduction in Hsp90 levels potentiates drug resistance and this resistance has multigenic determinants working through Hsp90. Hsp90 thus helps yeast evolve to counter the stressful effect of the drug. Interestingly, this effect is diminished by temperature rise. Increasing the stress (by adding heat) therefore, titrates Hsp90 away from the drug-resistance and makes the yeast vulnerable again (could this effect explain why fever has developed ?). Evidence for the same mechanisms occurring in plants comes mainly from two publications on Arabidopsis thaliana (Queitsch C et al. and Sangster TA et al.). These images from the latter publication show the extensive morphological changes seen in the plants. Figure 2. Similar morphological phenotypes of seedlings with reduced HSP90 function by RNAi or pharmacological means (GDA). (a) and (b): purple pigment accumulation; (c) and (d): organ number defect; (e) and (f): narrowly-shaped deformed true leaves; (g) and (h): twisted rosettes; (i) and (j): lobed cotyledon. RNAi plants are T3 generation with from line RNAi-A3. Size bar 2 mm for b and g–i, 1 mm for a, c–f, and 3 mm for normal phenotype. (b) and (f) originally published in . These effects can also be induced by increasing the temperature. Demonstrating the generality in the stress response. Since the genetics of these plants is easier to trace in these plants than in Drosophila or Yeast, the evidence for buffering genetic changes is even more clear-cut in this organism. In the last post I will present published models on how Hsp90 can act in evolution, – welcome back for the last post in Just Science 08, tomorrow.